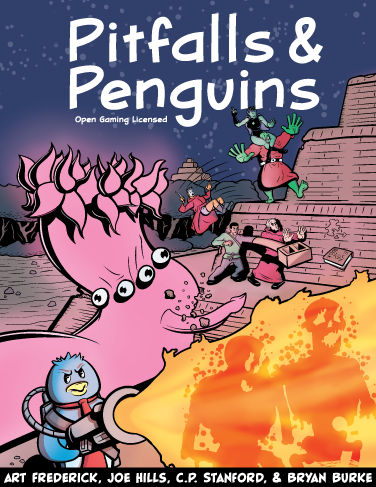 Play Pitfalls & Penguins now! so you can name any price for the .pdf, even $0. In this game, if a Playable Character&apos;s health drops below 0, that character is considered unconscious. If the entire party is rendered unconscious, the Pitfall Master should simply time-skip to the party waking up, possibly in prison or about to be sacrificed to an ancient god.